Tanaka TRB 24 EAP hand held garden blower. The Tanaka TRB24 EAP is petrol driven with a 24cc 2 stroke engine which produces 0.85kW of power. 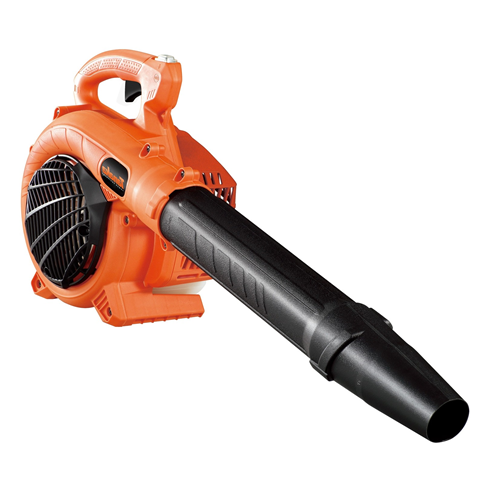 Hand held blowers like the TRB24 EAP are ideal for outdoor clearing and tidying of leaf and garden debris on paths, driveways or car parks. With a petrol machine you have the freedom to cover a larger distance where mains electrical leads are not suitable. The PureFire engine fitted to this Tanaka blower has lower emissions and better fuel consumption than conventional 2 stroke engines. 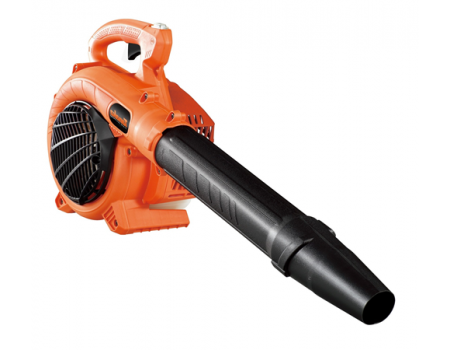 A lightweight leaf and garden blower at only 3.9kg, the Tanaka TRB24 EAP is ideally suited to domestic users.